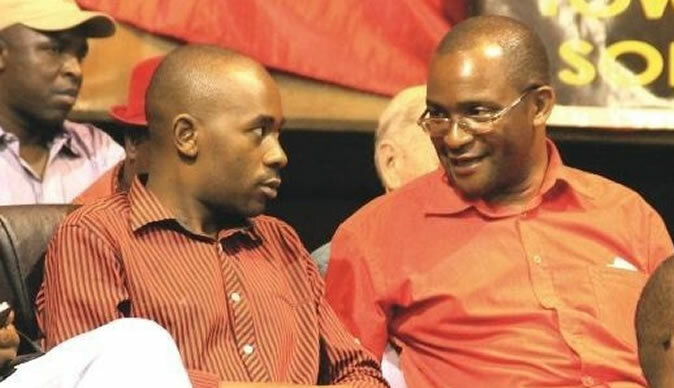 Cracks have widened within MDC provincial structures in Masvingo as two camps aligned to party leader Nelson Chamisa and secretary general Douglas Mwonzora tussle for party control ahead of the main opposition's May elective congress. Current provincial chair, James Gumbi is set to contest former youth and indigenisation deputy minister Tongai Matutu who is rooting for Chamisa to stay as party leader. Matutu has not hidden his desires to wrestle the job from Gumbi. Gumbi is believed to be pushing for the province to endorse Mwonzora's bid to become party president. MDC insiders feel the militant Matutu will most likely land the job as he enjoys grassroots support and is believed to have thicker skin to represent the aspirations of the popular opposition in the province. Gumbi, on the other hand, is viewed as too "soft" for the demanding job. Matutu is credited for steering party activities in the province. In the 2008 elections, MDC secured 14 parliamentary seats in Masvingo's 26 constituencies. Currently, it has only one seat in the province. Gumbi is under fire for defying Chamisa in last year's harmonised elections when his executive resisted a party directive to allow partners within the seven party MDC Alliance to contest for seats under the banner of the loose coalition arrangement. Although dates for the district and provincial elections are not yet set, sources said Matutu and Gumbi have started canvassing for support from the district structures. However, it has emerged Matutu is facing stiff resistance from Masvingo urban structures who view him as a "sell out" although he still commands decent support from other districts. "Both men have shown their interest to lead the provincial executive and they are fighting to have control over district structures. "The one who has influence at district level will automatically land the top post and from our assessment as a party, Matutu seems to be having an upper hand although he is facing resistance in Masvingo urban district only," said a party source.